'Transition, Family And Me' was an emotional and affecting evening featuring the stories of members of the trans community. Entertainment 5 December, 2018 . Written by Peter Dunne . It was a powerful and affecting evening at the Civic Theatre in Tallaght last night as members of the trans community gathered to share their stories in the work in progress piece, Transition, Family And Me. 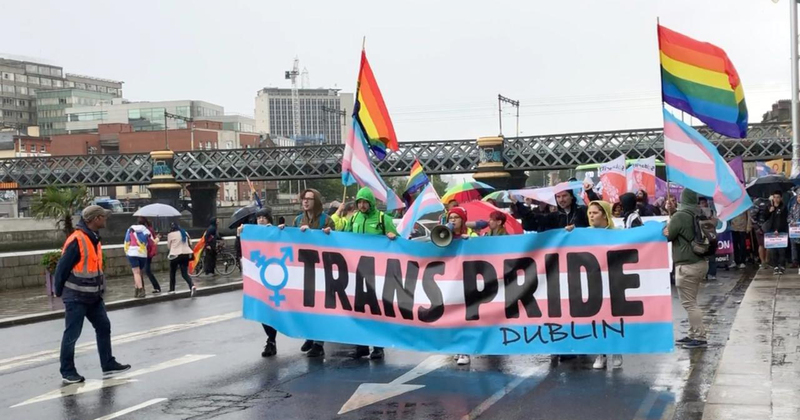 Through a combination of portrait photography by Conor Horgan and recorded interview, the piece featured ten members of the trans community talking about their journeys. While the subjects ranged in age from 19 years-old to early 70’s, what became apparent were the similarities in each of their stories. Each of the group talked about their struggles with mental health, the need for better healthcare and their experiences with their families, both positive and negative. Theatre maker Michele Ann Kelly was inspired to begin work on the piece when her research into Irish plays written about or featuring trans characters unearthed a mere two pieces – Amy Conroy’s Luck Just Kissed You Hello and Una McKevitt’s The Big Deal. Shocked by the lack of representation, Transition, Family And Me is Kelly’s quest to bring the stories of the trans community into main stage theatre. While it is a work in progress, the positive and impassioned response from those gathered in the audience proved how necessary, welcome and insightful the show is, even in these early stages. After the show, the members of the trans community featured joined Kelly onstage for a Q&A session hosted by Veronica Coburn. Participants included Noah Halpin, Ollie Bell and Ruán Walsh, who all recently featured in GCN’s Youth Issue. Chair of TENI and recent grand marshall of Dublin Pride, Sara Philips, also spoke. The rest of those present were Aoife Martin, Josephine Costello, Éidín Moyne, Denise Breen, Luke O’Reilly Kane and Claire Farrell. The Q&A session proved to be almost as insightful as the show itself as the featured participants were able to talk further about their experiences, their own artistic inspirations and experiences in a workplace setting. What soon became clear to those gathered was how important it was for Kelly to continue in her aim to create a piece of documentary theatre bringing underrepresented stories to greater exposure. A powerful night at the Civic indeed. 5 December, 2018 . Written by Peter Dunne .